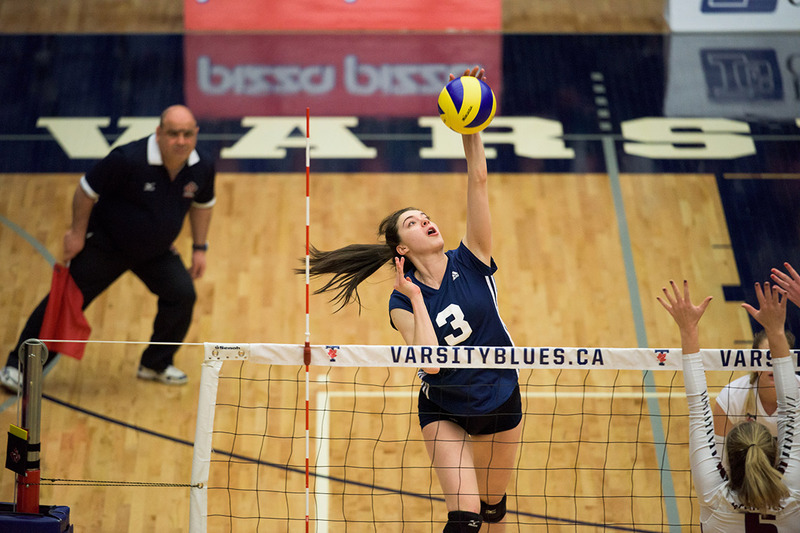 The University of Toronto’s Alina Dormann, a fourth-year Varsity Blues volleyball player, has been named a Top 8 Academic All-Canadian for the 2017-18 season. The elite group, selected by university sports governing body U Sports, will be honoured with the Governor General's Academic All-Canadian Commendation in Ottawa on Jan. 29. In order to achieve academic all-Canadian status, athletes must maintain an average of 80 per cent or better over the academic year while competing for one – or more – of their university's varsity teams. “Alina embodies excellence both on and off the court,” said Kristine Drakich, the Varsity Blues' longtime head coach. Dormann becomes the 10th Varsity Blues athlete, and the seventh in the past nine years, to earn the recognition since its inception a quarter century ago. She entered the 2017-18 intercollegiate season after spending the summer with the Canadian senior women's national team. She represented Canada at the 2017 FISU Summer Universiade in Taipei and went onto have another dominant season for the Blues on the court. Dormann also coaches recreational house league, competitive beach and skills clinics with the Leaside Volleyball Club in Toronto.